The Zeta Gamma Chapter of Kappa Kappa Gamma is very involved with the Center For Courageous Kids. The women in our chapter regularly volunteer their time helping out with the CCK camp. Through a multitude of philanthropy events this past year we were able to sponsor multiple kids. Each year, we hold the annual Seesaw-A-Thon with Beta Theta Pi, where one member from each fraternity is seesawing at all times for 24 hours straight. We are very passionate about not only raising monetary donations, but also creating long lasting bonds with the kids and camp counselors. In addition, the Zeta Gamma chapter also holds a philanthropy event called "Kapparoni and Cheese." Kapparoni is a all-you-can-eat full service mac and cheese bar open from midnight through 3 AM. The event has proven to be extremely successful since it's beginnings in the Spring of 2017. 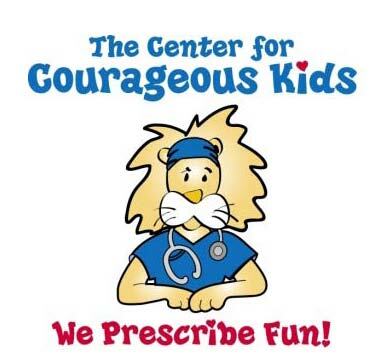 CCK Mission: To uplift children who have life-threatening illnesses by creating experiences year-round that are memorable, exciting, fun, build self-esteem, are physically safe and medically sound.